On February 4th, 2013 a new initiative was introduced that is aimed towards creating healthier homes in the United States. The main objective is to reduce radon gas levels in multifamily housing units. This initiative is named “Advancing Healthy Housing - A Strategy for Action,” and is a product of the White House Council on Environmental Quality. Other stakeholders include the EPA, Housing and Urban Development, the Surgeon General and the Deputy Secretary of Energy. This initiative will apply to multifamily developments, particularly ones that are currently receiving HUD financing or refinancing. They will also now require radon testing, plus remediation if the testing shows that high levels of radon are present. The average person in the U.S. spends nearly 70 percent of their time inside their home. Millions of U.S. homes have serious physical housing problems. Some of these problems include roofing problems, heating issues, plumbing and electrical problems, water leaks and pests, not to mention damaged paint and high radon gas levels. It has been estimated that over 30 million homes and apartments in the U.S. have elevated or dangerous levels of radon, lead and other harmful contaminants. Radon is a naturally occurring gas, and is a problem that is found all over the U.S. in our everyday resources like water, soil, and air. The bad news is that radon and lead can cause serious health risks. Radon particularly, is one of the leading causes of lung cancer. The gas is comparable to tobacco smoke and has been reported to have caused approximately 20,000 deaths annually. U.S. federal agencies believe that by improving the standards of housing, this can have a significant impact on the health of residents. This initiative from HUD and the EPA can potentially protect millions of residents that currently reside in multifamily housing from exposure to radon gas. The goal of the federal agencies that developed the plan is to reduce the number of U.S. homes with hazards through the achievement of five specific goals and actions. The first two goals are to establish adoption of federally-recognized criteria for healthy homes. This would call for federal agencies to develop a general consensus on the basic concept of what a healthy home entails. It would include eight qualities a home should possess, such as clean, dry, safe, pest free, and contaminant free. The hope is that there would be an encouragement and adoption of this consensus across federal agencies, as well as state and local governments. The next goal would be to create training development to address the hazards. Experts that could deliver services, such as weatherization, would be included in a plan to connect workers to jobs and leverage existing work force developments in addition to the initiative. Goals four and five would include education for the public about healthy homes and supporting research that would inform and advance healthy housing in an affordable manner. All and all, the “Strategy for Action” initiative seems promising forencouraging federal agencies to take actions that will help reduce the number of U.S. homes with health hazards and dangerous levels of radon. 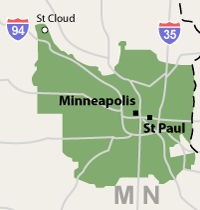 Twin Cities Radon Services provides radon testing and mitigation to the Greater Minneapolis area of Minnesota. Every homeowner should have their home tested for radon, whether they are living in an older home or a new construction. Protect your family against the health risks associated with this dangerous gas. Contact us for a free radon estimate.